I believe that when we change our inner life, our outer life will change effortlessly. When we change our perceptions, our thoughts and shift our perspective, the world will respond to us in a new way. When we honour our own divinity the universe will work its magic and start supporting us in magical ways. As women our most important job is to honour our sacred feminine power. And to learn to merge the feminine and the masculine energy within and use both to create the life of our dreams. 1) Set healthy boundaries in all aspects of life. Sexually. Personally. Professionally. 2) Feel your needs and express them. Physically. Emotionally. Spiritually. 3) Ask for help. Ask friends and family. Ask professional healers and advisors. Ask the universe. 4) Set clear intentions. For your physical wellbeing. For your love life. For your work life. For your family life. For your personal development. I offer you a 6 months sacred journey to support you in living the sacred feminine and to become initiated in your personal priestess work. This 12 session series runs over 6 months and will include every aspect of you stepping into your own divinity. Healing your wounds, honouring your divinity, finding your life purpose and birthing your soul’s work. Session 1: Intentions – we will define what you want in life. This means every aspect of your life – your body, your heart and your soul. These intentions will give us the direction for our journey together. Session 2: Self love – live it. Self love is the heart of everything you manifest in life. The way we treat ourselves sets the example for everybody else. Only if we truly believe that we are worthy of abundance, love and belonging will we be able to manifest it. Session 3: The goddess – get in touch with your inner divinity. Learn to honour the goddess inside. Learn how to receive and be in your feminine power. Create healthy boundaries in every aspect of your life. Session 4: The light and the dark feminine – the dark masculine and the light masculine. Know the qualities of the masculine and the feminine, what they are based on and how to balance your feminine and masculine powers in order to manifest the life you desire. Session 5: Divine sexuality. Step into your sexual power and feel into what you want, what you like. Learn to set healthy boundaries. Find and own your right to say NO and to say YES. Session 6: Womb healing. Heal your female core, your creative source, your ability to create life, create new ideas and projects. Find your ability to create a new life and a new beginning for yourself. Honour your life energy. Session 7: Heal your female lineage – learn how to ground yourself, trust life and confront fear. We are the first generation in hundreds maybe thousands of years who have the knowledge and the freedom to confront and release fear – not only for ourselves but also for our female lineage. Session 8: Express your soul. Show up in all your light. 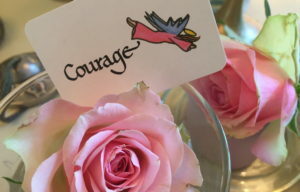 Find the courage to express yourself freely and easily. For generations women have been brought to silence and have been unable to express their truth through their throat chakra. We have that right in this life in this part of the World. Let’s honour the woman who doesn’t have that opportunity by expressing our truth with courage and honesty. 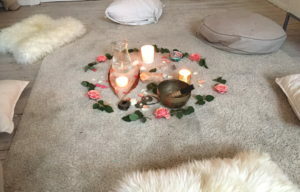 Session 9-10: Sacred woman circle and priestess work: Learn to create a sacred space. Learn how to guide a women’s circle and access the wisdom of our tribal ancestors and connect with the women who have sat in circle before us. Learn how to build a sacred space and hold space for the divine. Connect with Father Sky and Mother Earth. Connect with nature, the lunar cycle and the collective sisterhood. 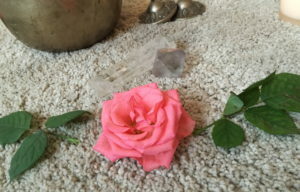 Session 11-12: Marry your feminine and masculine qualities and learn how to manifest with your full power. Step into your light and live your divine purpose. Show up and express your soul’s work. Live your authentic self in every aspect of life. Personally, professionally and sexually. Feel free to write to at me@annrandrup.com if you want to know more about what if means to go on a journey with me and to try a free initial consultation.